In October of 2010, over 4,000 Christian leaders from 200 countries met in Cape Town, South Africa, to discuss critical issues of our time as they relate to the Church and evangelization. This was the Third Lausanne Congress, convening nearly 35 years after the original Lausanne Congress in 1974, called by Billy Graham. 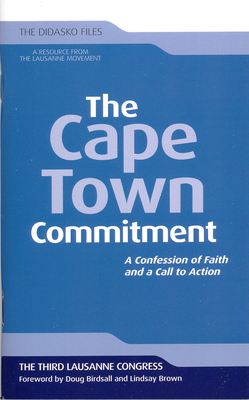 Written as a roadmap for the Lausanne Movement, The Cape Town Commit-ment presents a statement of shared Biblical convictions, and calls church-es, mission agencies, seminaries and Christians all over the World to action. Prominent authors involved in The Lausanne Movement include John Stott, John Piper, Ajith Fernando, Vaughan Roberts, Joni Eareckson Tada, Christopher J.H. Wright and Rebecca Manley Pippert.